Let’s Make Our Own Crosswords, Part Two: Advice! 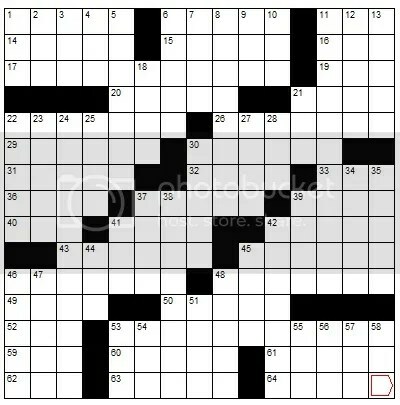 On Tuesday, I posted an introductory how-to for creating your own crossword puzzles. All of the advice and guidance was based on my own constructing instincts and work I’ve done over the years. But I’m just one puzzler, and I figured why not reach out to other constructors and editors in the puzzling community and see what helpful suggestions they had for aspiring puzzle constructors. So today, I put you into the good hands of professionals and topnotch puzzlers, as they walk you through the do’s and do-not-do’s of crossword construction. As constructor Ian Livengood said, “it’s more art than science,” but with the advice of established constructors in your pocket, you’ll be off to a great start. And as it turns out, they’ve got plenty of worthwhile nuggets of advice to offer! In fact, they had so much to say (and I wanted to include so much more!) that I’ve broken up the advice by topic and put each one on its own page. Just click on the links below to take you to a treasure trove of puzzly wisdom! Good luck, my fellow puzzlers! And thank you to David Steinberg, Robin Stears, Ian Livengood, Rich Norris, Patti Varol, Doug Peterson, and Eileen Saunders for their masterful advice! This entry was posted in PuzzleNation, Puzzles and tagged Cluing, constructing, construction, crosswords, David Steinberg, DIY puzzling, Doug Peterson, Geeking Out, How to, Ian Livengood, Los Angeles Times, Los Angeles Times crossword, New York Times, New York Times Crossword, Patti Varol, PuzzleNation, Puzzlin' fool, Rich Norris, Robin Stears, Wordplay by gmdirect. Bookmark the permalink.